If you look at the scorecard you might think at first that this is an easy course because its length is "only" 5,741 meters. But watch out! Difficulties on golf courses are not just meters. 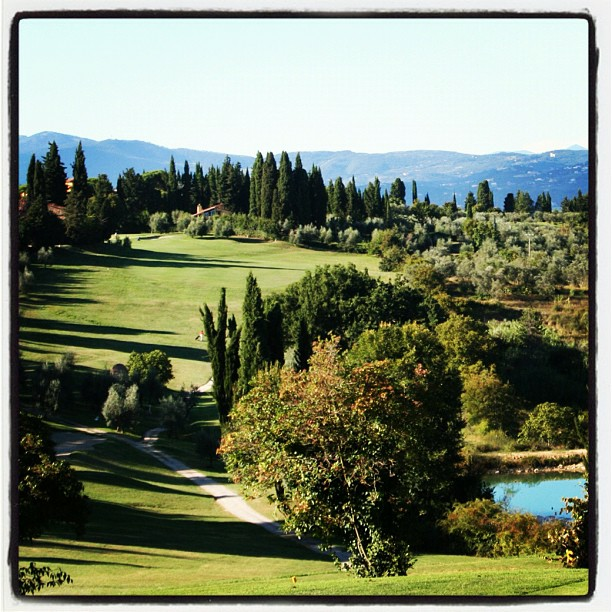 Ugolino is a natural course designed and built in 1934 in the Chianti hills and it exploits at best the natural characteristics of the Tuscan landscape: the cypress trees and olive trees, the slopes that curve and follow the magnificent scenery, the small greens which are often very well-defended. 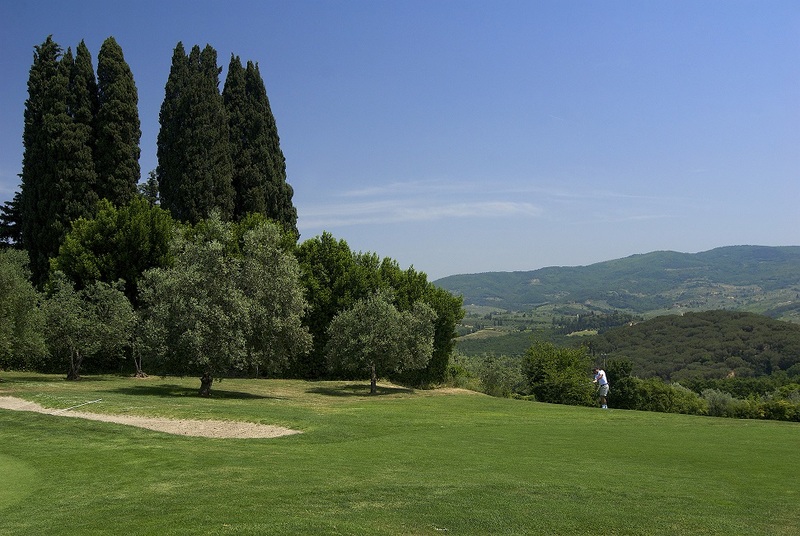 These are the obstacles that the golfer comes up against on a course which is part and parcel of Italian golfing history and severely tests players of all sorts. 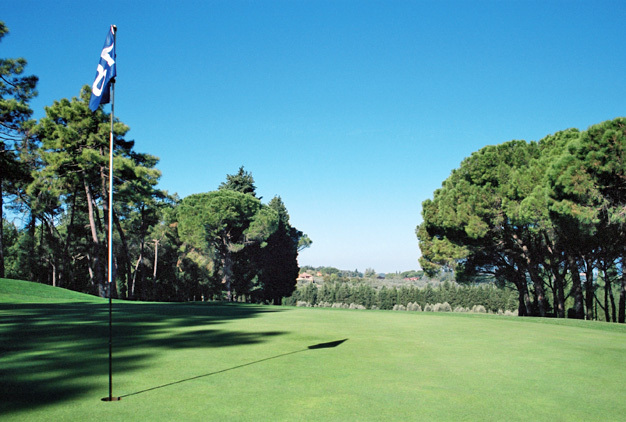 It is not by chance that Ugolino, under the expert guide of the pro Franco Rosi, has formed many excellent golfers like Baldovino Dassù, Renato Campagnoli, Federica Dassù, Massimiliano Secci e Lorenzo Gagli. The course is an amusing but most challenging test for players who have to devote their skills to playing accurately rather than powerfully.The first three holes are all par 4 with a delicate shot to the green, which can allow for a couple of birdies in spite of hidden dangers which require accuracy. From the fourth hole (a par 3) onwards one really needs to start hitting the ball in order to drive the green here and to reach the green at the fifth (a par 4). The sixth hole is the first par 5, it requires both length and accuracy to avoid trouble with the many trees along the fairway. On the ninth hole, another par 5, danger lies on both sides of the fairway and the green is raised and quite small. The second nine begins with a spectacular par 3 which opens on to a wonderful view. Holes number 11 and 12 are fairly long with difficult shots to the green and many out of bounds. The next few holes are on the other side of the Via Chiantigiana and here the technical design changes, these holes are flatter and longer. Number 15 is one of the trickiest holes of the course due to the difficulty in choosing the type of shot to play.The well defended green slopes severely to the right. The two final holes are very delicate for different reasons: the seventeenth hole has out of bounds on the right which means a tough choice in deciding the strategy of alignment, whereas the eighteenth hole is a dog-leg to the right and the second shot played uphill can easily be misjudged. A delicate course which has to be faced, shot by shot, with great attention and, above all, great caution. Enjoy! By car: A1 Motorway, Firenze Sud exit, turn rights on route 222 (Chiantigiana) towards Greve - Siena for 8 Kms entrance to golf club on the left. From downtown Florence, follow signs to A1 motorway and then as above.